Why do apple fans stand in line all around the globe? Why are people willing to spend hours waiting in line for the new iPhone when the product will be readily available in the next few days? Well there are no rational answers to these questions, even if there are, they don’t apply to everyone waiting in these lines. When Apple launched its first iPhone Steve jobs had introduced a revolutionary product which made people queue up for the phone and gave iPhone several years of head start over the competition. The same trend has been continuing year after year, In spite of Android closing the gap, Apple has continued to inspire that zeal and enthusiasm among its fans which is a admirable. 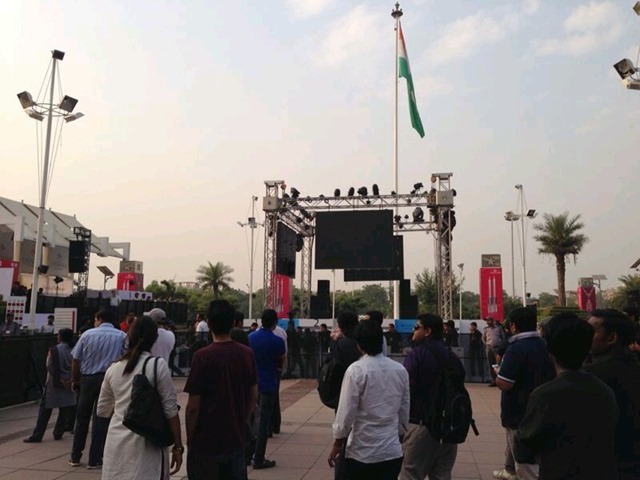 Today all over India Apple fans lined up to be amongst the first few people to get their hands on iPhone 5s and iPhone 5c. Most of the people we met were there for the iPhone 5s and the Gold variant sold like hot cakes. Within half an hour of the Counter opening at 5 PM, all the golden/Champaign iPhones were out of stock. Similar enthusiasm was evident in other parts of India including Bangalore and Hyderabad. 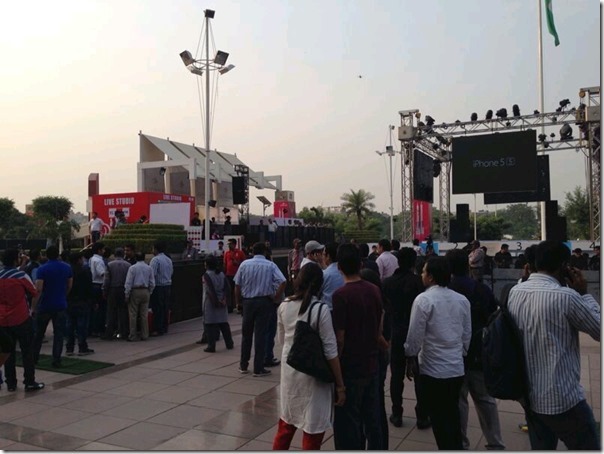 We attended the launch event at New Delhi and the response was surprisingly overwhelming with more than 1000 people queuing up for the latest iPhones. 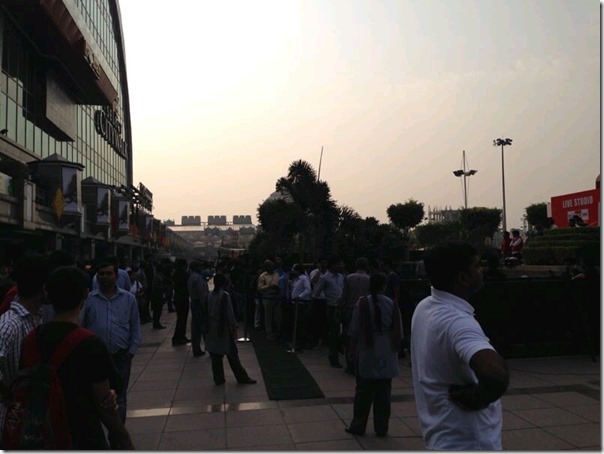 Most of the Apple fans we talked to, loved Apple and were driven by that passion. Some wanted to be amongst the first few people to lay their hands on the Gold variant, which they expected to be out of stock for a long time. We must agree that the enthusiasm amongst Apple fans was inspiring and the pleasure and value of your personal gadgets is enhanced manifolds when procured with some pain and passion.